"I took all of my general chemistry courses at UNC Charlotte in the summer of 2007. I had two professors, each for half of the summer. They used to say "Inch by inch, chemistry's a cinch. Yard, by yard, it's hard." They were correct. My first chemistry professor was Dr. Hovick. 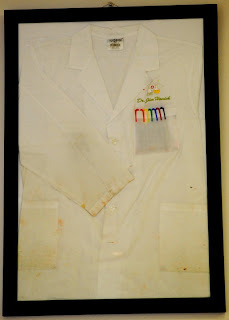 He always wore a dirty, long white lab coat and shorts. I had never taken a chemistry class in my entire life and had no idea what to expect. On our first or second day, he showed us a black and white picture of a dalmatian in the snow shade. He told us to look at the picture and figure out what it was supposed to be. None of us could see the dalmatian. Once he pointed it out to us we couldn't unsee it. He then told us that learning chemistry is like finding the dalmatian in the snow - and that his job was to describe to us what we were looking for to help us see what he can already see. He told us that history, art, biology, sociology, chemistry and all other disciplines are just different ways of looking at the same world, and that the "BIG picture is the assembly of all these points of view." I know because I still have my notes! He did everything he possibly could to teach chemistry to anybody who would listen. He spent a considerable amount of time empowering us, telling us not to give up, and that chemistry IS hard and not to feel bad for not getting it right away. He would bend over backwards to get his students to understand what he was teaching. He answered the same questions over and over again, but using different methods every time until each of us understood. And he never once showed any sign of anger or frustration. He wouldn't go home until he knew that we all understood the day's lesson! To help us understand molecular geometry, he took us outside to a black walnut tree where we observed the clustering patterns of the fruit. I remember how he would gladly discuss ethical implications of course material and tell stories to help us put concepts into perspective. When he wasn't teaching he was answering questions and talking to students about chemistry and related topics. He didn't hide in his office like so many professors do. He even came to school on Sundays to review material and help us prepare for exams. That was in May and June of 2007. I just found out today that he passed away unexpectedly 4 months later. He was only 42. The most important thing I learned that summer is that every student stands on the shoulders of the great minds that came before. Dr. Hovick was one of those great minds. It was a privilege to be one of his students during his final complete semester. 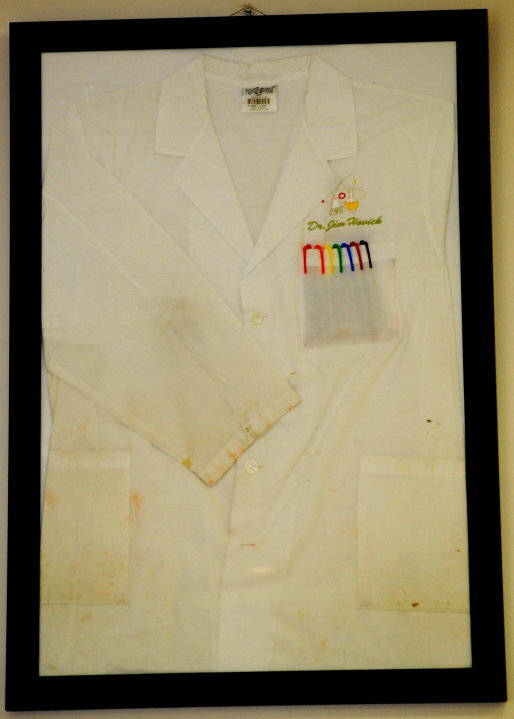 His lab coat now hangs in a lecture hall named after him."